Hi Everyone! It's Kathy today with my Design by Color challenge project! I was lucky enough to get my all time favorite Doodlebug color.... Swimming Pool!! Seriously, it's my most favorite color in the history of ever! It makes me so happy! Here's my layout, it's a throwback picture to 2006 of my daughter digging in the sand down on Cape Cod! I used papers from a few collections including Happy Campers, SunKissed, Sugar Shoppe and some Sprinkles Vellum for my background. 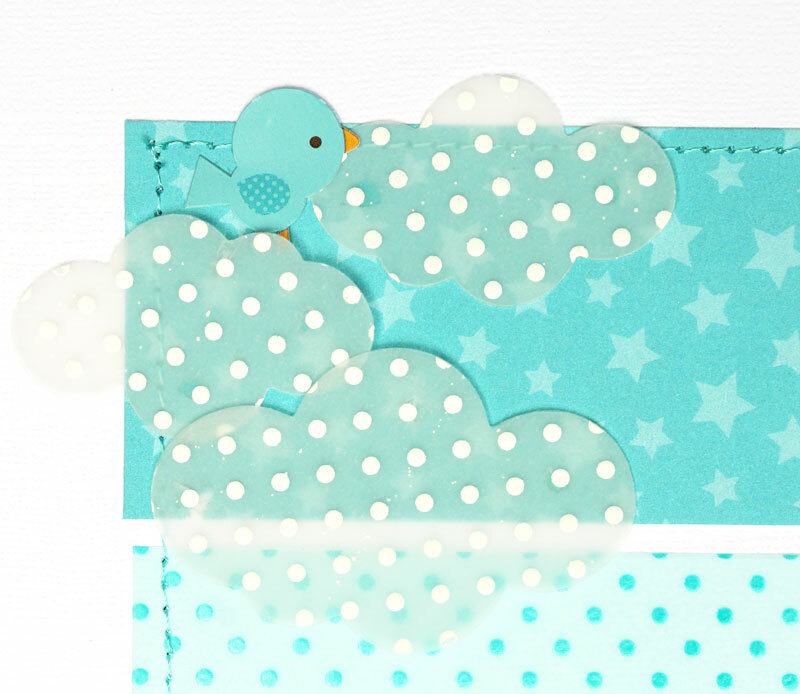 The clouds are made using the Sizzix Doodlebug Cloud, Flower, Rain and Umbrella Die Set and some Lily White Sprinkles Vellum. 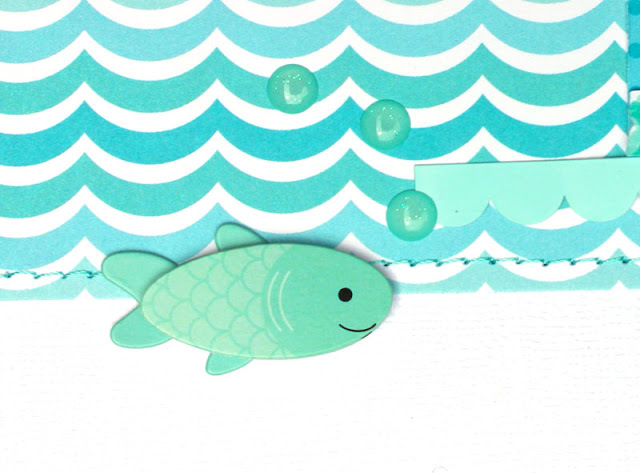 I LOVE the Fishy Doodlepop from the Happy Campers Collection!! I also used a Swimming Pool Doily to back my photo and Swimming Pool Gingham Treat Bag as a holder for my journaling tag. The stickers are from a few different collections including SunKissed, and some Swimming Pool Fancy Frills. I love how it all turned out! That's it for me today, make sure to stop by the Doodlebug Design blog this week for more Design by Color inspiration! That's gorgeous and one of my very fave colors too! Love it!! Love it Kathy! That blue is stunning! I love tis monochromatic scheme. It is perfectly put together! love love love! This is lovely, Kathy! Swimming Pool is one of my favorites too!!! This is so terrific and layered so cool and I love seeing Doodlebug Design products being used in such amazing ways - like this layout!! Such wonderfully awesome details and just so great - Kathy, I love seeing your designs!!! Have a BEAUTIFUL day!!! Great design!! Love the paper strips and stitching!